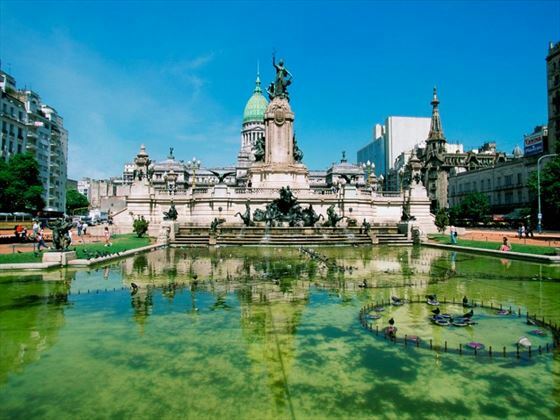 Enjoy a 13-night independent tour taking you through the highlights of Argentina and Chile, beginning in the fabulous Buenos Aires and exploring the European culture including enjoying a traditional estancia and dining on delicious steaks and barbecues coupled with the local Malbec. 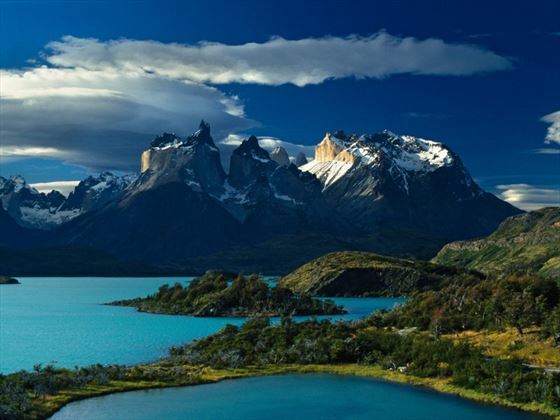 Head south to explore what is known as ‘the end of the world’ in Patagonia’s National Park, admiring the dramatic landscapes including snow-topped mountains and towering glaciers, before embarking on a sailing safari through Canal Sur and getting up close to the Perito Moreno Glacier Walls and witnessing the immense icebergs. 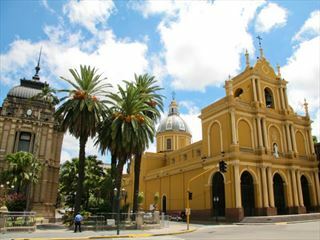 Next stop is the large city of Santiago, to learn about its history on a guided tour and admire views of the Andean mountain range which surrounds it. Visit the most southern tip of South America, nicknamed 'the End of the World', gateway to Patagonia’s most spectacular sights. Arrive into the Latin city of passion and culture and transfer to your selected hotel. 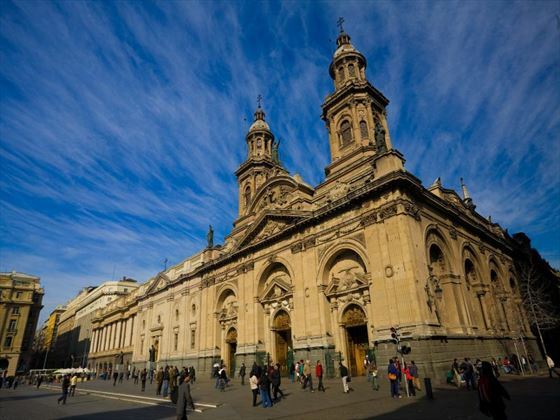 This afternoon at 2pm you will begin to explore the main sights of the city on a guided tour including a visit to the Plaza de Mayo (Main Square), the oldest neighbourhood of San Telmo, cultural and European La Boca, Palermo and La Recoleta quarters giving you a taste of the history and local life in the capital. Return to your hotel for an evening at leisure, we recommend sampling one of the steak restaurants tonight and enjoy some of the delicious local Malbec. Day at leisure to explore the city. Recommended tour: Visit a traditional estancia of the Argentine Pampas located in the outskirts, here you can take part in day activities of the classic character of the land, the gaucho. Lunch here consists of a fabulous and delicious Argentine-style barbecue paired with the best Argentine wines (an absolute must try while here). If this is your first time to Buenos Aires, a tango dance show is a must, the dancers here are superb! Take a transfer to the local airport and fly down to the coastal city of Puerto Madryn today, well known for its marine wildlife, on arrival transfer for around one hour to your hotel. Check into your selected hotel and spend the day at leisure – why not take a stroll down to one of the local cafes on the beachfront or go horseback riding at one of the nearby ranches. This morning set off on a Peninsula Valdes Reserve full day trip today, visiting the local town of Puerto Piramides, a great destination for wildlife lovers. During July to December you will embark on a whale watching trip, getting up close to these amazing mammals. This afternoon visit Caleta Valdes and Punta Delgado on the beautiful coastal peninsula. 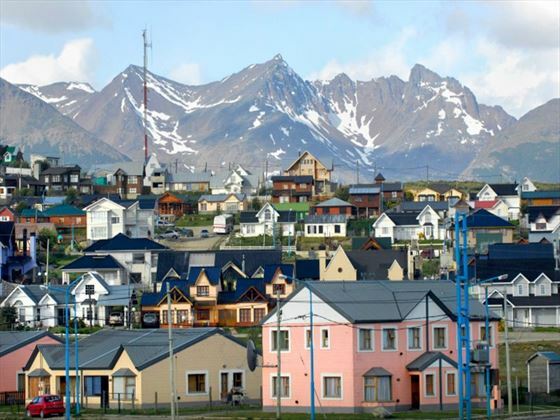 Transfer to the local airport for your onwards flight to the city of Ushuaia today, nicknamed as the ‘End of the World’ due to its location on the southernmost tip of South America. Here is the gateway to the spectacular National Park – Tierra de Fuego. This far south the seafood is divine, must tries include the king crab, sea bass and large mussels. If seafood is not your thing, the slow-cooked lamb is a delicious choice. Transfer around an hour to your hotel and spend the remainder of the day at leisure. This morning depart early after breakfast (around 7:30am), for your transfer to Tierra del Fuego National Park, viewing the most stunning views of Lake Roca and Bahia Lapataia Bay. This afternoon, sail on through the mythical Beagle channel with its rich history and witness to thousands of stories before reaching Wolves Island (La Isla de los Lobos). Keep an eye out for the varied wildlife here including sea lions, penguins and cormorant birds. You are in the gateway to Antarctica here so take the opportunity to explore your surroundings by foot, canoe or on the train to the end of the world. Transfer to the airpot to board your flight to El Calafate, a small town on the shore of the large Argentino Lake. From here you can begin exploring the icy landscape of Los Glaciares National Park. After checking in, take a wander down the main strip, visiting the souvenir and chocolate shops or book an afternoon tour. 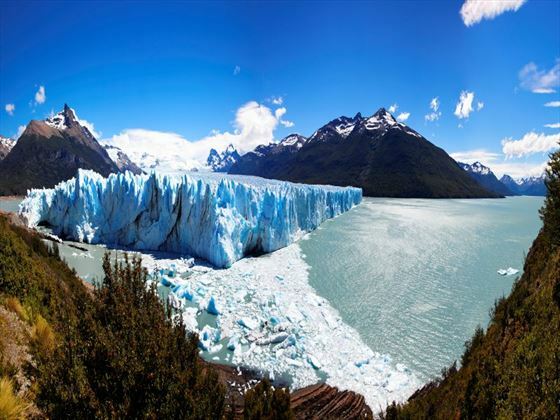 Spend your day exploring the fantastic and breath-taking Glaciers National Park today, situated at almost 50 miles away from the town of Calafate, admire the stunning views as you travel toward the Perito Moreno Glacier at an astonishing 60 metres high! Feel the immensity of its size by getting up close to the glacier walls on a sailing safari taking you through the South Channel (Canal Sur). If you stay here long enough, you’re likely to see a large chunk of ice fall off the front and hear the roaring sounds of the ice cracking. Sail along the north arm of Argentino Lake, witness the immense icebergs that come off the Upsala Glacier, the largest glacier in this part of the National Park. Navigate to the Spegazzini arm where you can see three hanging glaciers - El Peineta, Seco and Heim and the hugely impressive Spegazzini Glacier, with a sheer height of over 130 metres. Return to the port this afternoon and travel back to your hotel. Today you will board a local bus and begin your journey to cross the border into Chile the journey is approximately 5 hours depending on the border crossing times. Arrive in Puerto Natales - gateway to the Torres del Paine National park - check into your hotel of choice and spend the remainder of the day at leisure. This morning begin your adventure to the Torres del Paine National Park. You'll witness the impressive Andean mountain range surrounded by glaciers, waterfalls and lakes, it’s truly breath-taking so make sure to take your camera and capture the moment. On route visit the Cueva del Milodon, an ancient mammal that used to inhabit the lands, whose remains were found in this area. Once arriving into the Torres del Paine National Park, take a short walk to the beautiful Salto Grande and have some free time at lunch to admire views of the Cuernos del Paine from the Camping Pehoe. After lunch visit the Grey Glacier and enjoy a beautiful walk among lenga forests and the icebergs of the Grey Glacier. On your return trip, visit a lodge and witness the red foxes and condors which accompany the beautiful panoramic views of the Paine massif. Return to the hotel around 7pm and enjoy a dinner at your own leisure. Journey over to Punta Arenas today by a comfortable coach for your onwards flight to Santiago de Chile. Check into your hotel and explore the local restaurants this evening. Enjoy a guided city tour today exploring the main sights of one of the largest cities in South America, surrounded by the spectacular snow-capped Andes and the Chilean Coast Range, for the best views of this take a trip up the Grand Santiago Tower (shopping centre), it’s the tallest building in Santiago and you can go all the way up to the top to admire the mountain range views surrounding the city. Transfer to the airport today in time for your onwards flight. 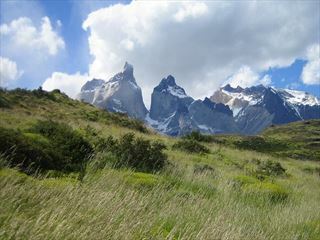 Please note this self-guided tour departs daily from September through to April where the weather in Patagonia is at its best. During May to August it is the winter period in Argentina, therefore, the days in Patagonia have little sunlight and can be very cold but very beautiful. This itinerary runs during this period but with less frequency so please enquire should you wish to travel during these months. Exclusive offer Book this holiday now fro travel before 31 Mar 20 and receive up to £250 discount per person. Book by 30 Apr 19.